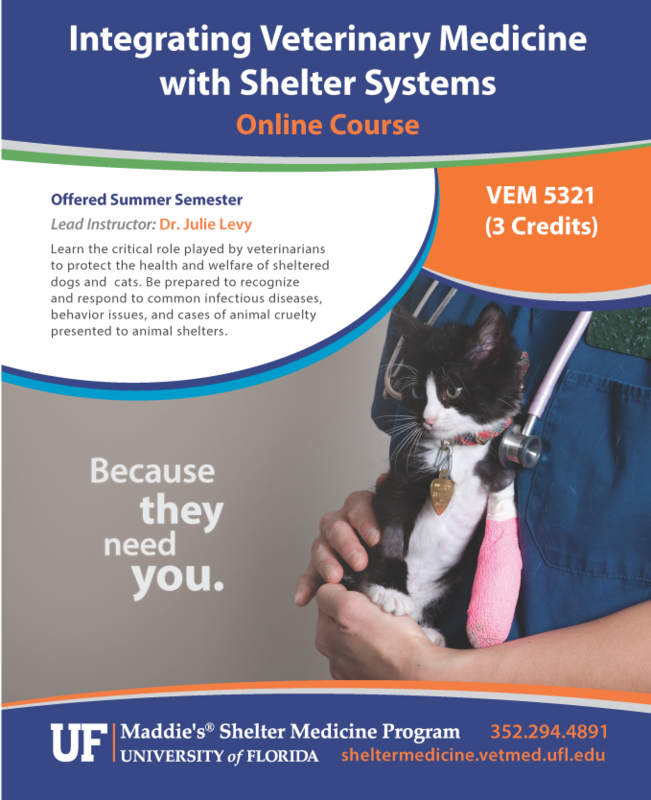 In April 2014, Integrating Veterinary Medicine with Shelter Systems won the “Online Education Excellence Award” for graduate courses at the University of Florida. This is the university’s highest honor for online courses, and indicates that this course exceeds the UF Standards and Markers of Excellence, a framework of best practices for online courses. As a current veterinary student, information about shelter medicine is only taught as a single elective course and just brushes the surface in this complex field. 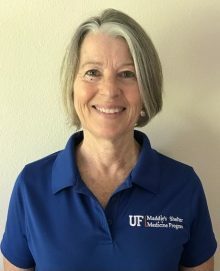 Through the UF Maddie”s® Certificate in Shelter Medicine Program, I was able to supplement my current curriculum and foster my interest in shelter medicine. The three courses often overlapped with what I was learning at school and provided great depth and references. The flexibility of a clear online schedule with very understanding instructors and supportive classmates provides a positive learning environment even with the challenges of balancing these class with a full course load. By providing the syllabus, certificate website and working with professors who support shelter medicine I was able to receive elective credit at my university.